When choosing a roofing contractor it is vital to chose a company with a proven track record. It is also essential that the company you use are registered, carry full insurance and have all the correct accreditations. 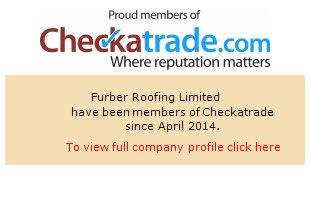 We at Furber Roofing Limited are proud of our accreditations with all the organisations listed below providing a great deal of reassurance and peace of mind to all our customers. Business Approval Register – with 795 customers feedback. The Business Approval Register provides consumers with businesses that are honest, reliable and treat customers fairly. The Business Approval Register only approve those that consistently supply quality goods and services. We are here to help take the risk out of your decisions. All NRFC member contractors are carefully vetted before they are accepted into membership. This means that their past contracts are inspected and the level of craft skills, technical competence and financial stability are all taken into account, to ensure that the company carries out a good service. Competent Roofer is the Government authorised scheme to England and Wales that allows professional roofing contractors to self certify that their roofing refurbishment work complies with Building Regulations. The scheme encompasses all roofing types for domestic, industrial and commercial.